Depending on the task at hand, sometimes it’s clumsy navigating large PDF files. Recently I was assisting an Acrobat user that regularly received large PDF files he reviewed for completeness. 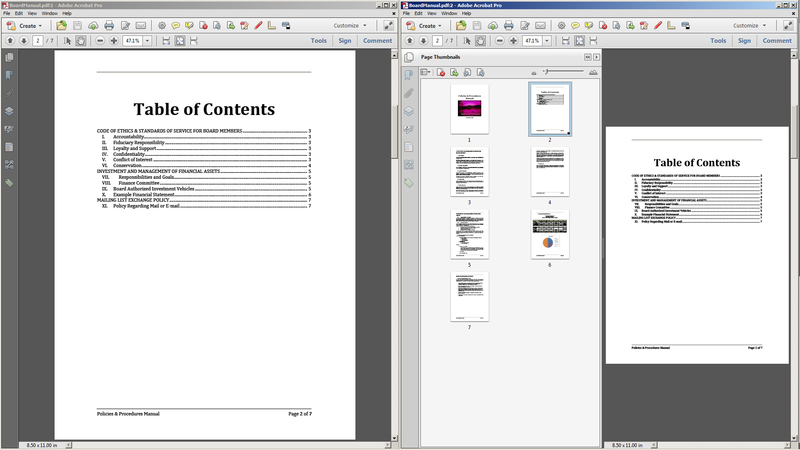 The PDF file contained a “lead sheet” that referenced other scanned pages within the document. The problem he faced was trying to keep the “lead sheet” page view static while double checking that the file actually contained the referenced pages. Essentially he needed two instances of the same file open so he could navigate each document independently. After a little investigative work, it turns out this is possible by using the Window > New Window menu command. 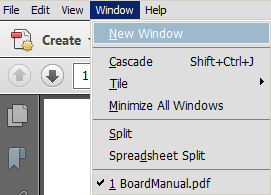 This will allow you to view the same document in two different windows with different views or pages, which is very handy for certain document workflows. To learn more about different ways to navigate PDF documents, check out my Navigating PDF Files session that’s part of the Learn Acrobat XI course on Udemy.